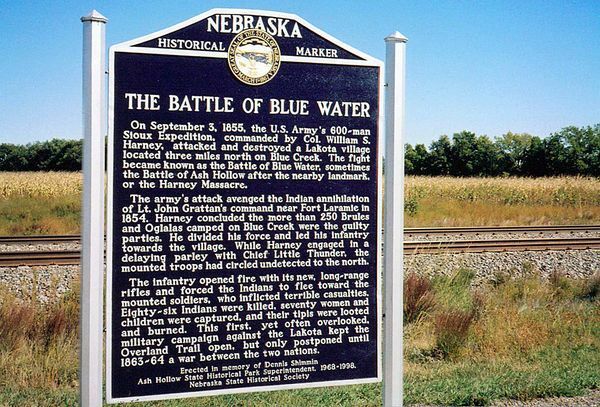 The Battle of Blue Water, also called the Battle of Ash Hollow, was one of the first major clash between U.S. soldiers and the Sioux Indians in the American West. 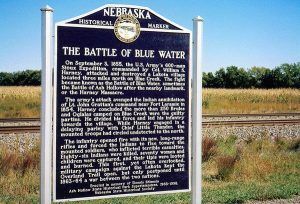 In 1855, to punish the Sioux for their depredations following the Grattan Fight near Fort Laramie, Wyoming the previous year, the Army sent out Colonel William S. Harney and an expedition of 600 men from Fort Leavenworth, Kansas to the Sioux village of Little Thunder in Blue Water Creek Valley, just above the creek’s junction with the North Platte River. By a circuitous route, dragoons entered the valley and advanced downstream, while Harney and a force of infantrymen marched up the valley from the Platte. Attacked from two directions on September 3, 1855, the Indians scattered, but not before the troops killed 80 warriors, wounded five, and captured 70 women and children. Four soldiers met their deaths and seven suffered wounds. 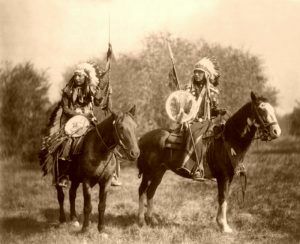 The rest of the Sioux and Northern Cheyenne in the vicinity managed to avoid the troops. The latter moved northwestward to Fort Laramie, Wyoming and marched over the Fort Laramie-Fort Pierre Road through the heart of Sioux country to Fort Pierre, South Dakota on the Missouri River. There, they joined part of the expedition that had come up the Missouri River and spent the winter of 1855-56. For almost a decade, most of the Sioux gave no further serious trouble. The site is privately owned, but the 40-acre Ash Hollow State Historical Park overlooks the battlefield. It is located in Garden County on U.S. Highway 26, 1 ½ miles west of Lewellen, Nebraska.